Josh Whipple (right, with family) is taking a new position as Youth Pastor at Colwood UB church in Caro, Mich. Since November 2011, he has been senior pastor of Mount Hope UB church in Carson City, Mich. He will now be returning to the church where he partly grew up; his father, now Bishop Phil Whipple, was pastor of Colwood 1998-2009. Josh served as youth/worship pastor at Mongul UB (Shippensburg, Pa.) 2008-2011, and then as Campus Life Director near Caro until his appointment to the Mount Hope church. He holds a Provisional ministerial license. Josh and Katie have two young children. The United Brethren Staffing Course is a requirement for ordination in the United Brethren denomination. The first edition of this course will be held Wednesday, July 11, 2012, at the Healthy Ministry Resources office in Huntington, Ind. Denny Miller (right), lead pastor of Emmanuel Community Church in Fort Wayne, Ind., is the instructor. This course will help you develop an ability to expand ministry through staff, both volunteer and paid. Learn to balance responsibilities of staff to accomplish the ministries of your local church. This session will also emphasize team development through staffing. You’ll walk away knowing the importance of delegation, job descriptions, and strategic staffing so that you can be better equipped to manage your role as supervisor. Whether you are the only person on staff or have multiple persons on staff, this course will apply to you. The cost is $100 for persons seeking ordination, $50 for everyone else. 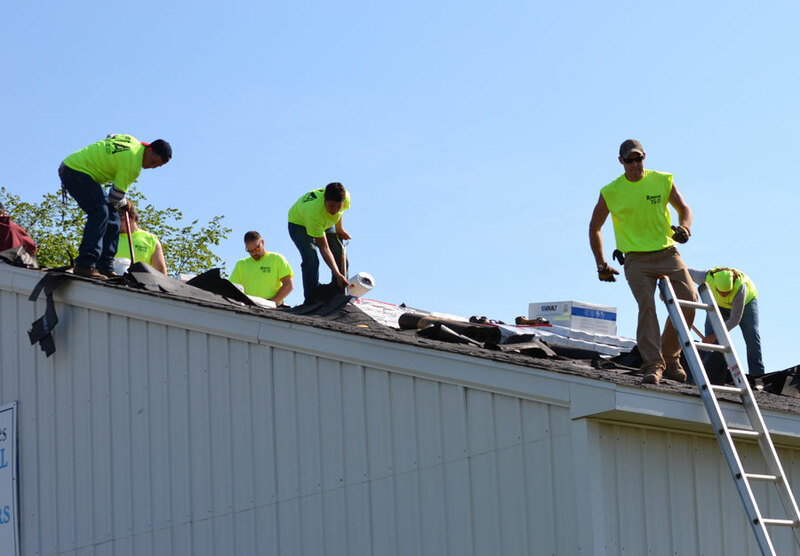 On the evening of May 16, thieves drove what was probably a truck across the grass in back of HomeFront UB church, broke the window of the pastor’s office, backed the truck up to the church, and helped themselves to anything of value. They apparently spent quite a bit of time in the building. They kicked in doors and ransacked at will, leaving with TVs, computers, printers, guitars, projectors, and other items. This happened between 9:30 Wednesday night, May 16, and 8:30 the next morning. The break-in was discovered Thursday morning by Josh Good (right), who had been senior pastor of HomeFront for just two weeks. They also took items donated by local businesses for a silent auction to be held two days later, a Habitat for Humanity benefit for a single mom and her four kids. Missing was Zales jewelry, a digital camera, about $185 in cash, and other items from the auction table. They’d been preparing for this for several weeks, and the loss–up to $2000–was heartbreaking. The stolen church property was valued at around $6000, but is covered by insurance. Two other churches in the area had been burglarized recently, but no connection has been made. Police don’t yet know the identify of the thieves. Pastor Good says seven acres of land lie behind the church building, and, “It gets really dark back there.” The thieves entered through the office window, but probably carried items out a door. One neighbor said he saw a truck at the end of the building for a few hours that night. 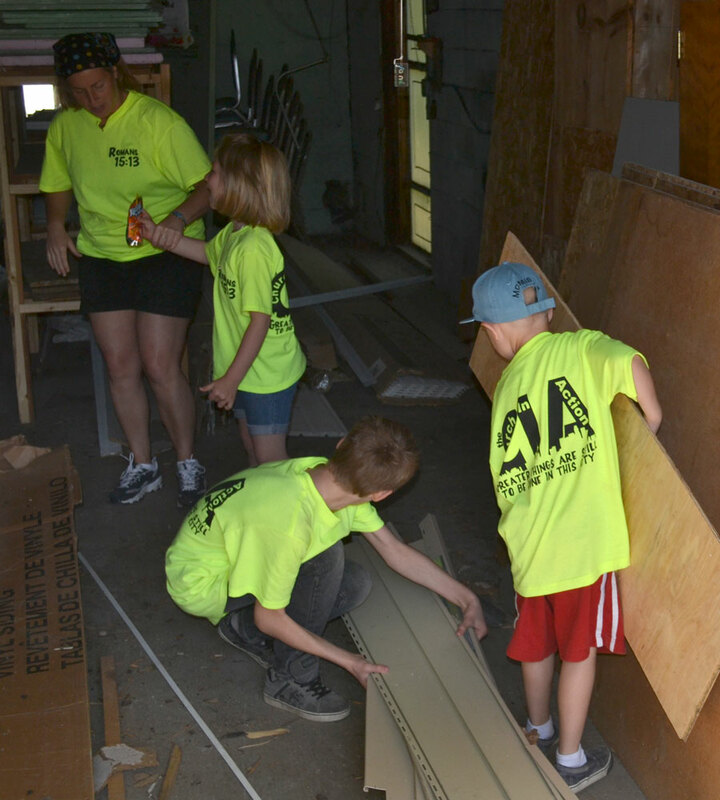 The Lakeshore Habitat for Humanity is building a home for Julie Malfroid, her three sons, and a daughter who is severely handicapped from a brain injury and requires constant care. They’ve been living in a bad-off trailer. Construction of their new home will begin in July. So, how did the auction go? “It worked out really well,” says Pastor Good. HomeFront had set a goal of $3500 for the Malfroid family. Thus far, they have raised over $9000. The break-in drew a lot of media publicity, and people and businesses responded with donations. Ticket packages came from the Detroit Tigers and the Grand Rapids Griffins hockey team. The Tigers tickets went for about $90 apiece. Some local businesses mailed in cash donations. A local ice cream shop auctioned off free ice cream once a week until the end of August. A card shop that went out of business brought purses and other items. Two private artists donated wood pieces. 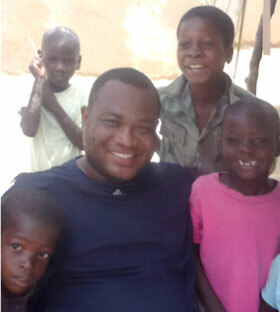 Dr. Germain with Haitian children. In October 2011, a United Brethren team from Canada met Dr. Germain Robinson Lorentz, one of two doctors who worked with them in a medical clinic ministry. He survived the earthquake of January 2010, but lost his wife, young daughter, mother, and brother in their collapsed home. If he hadn’t stopped for a few minutes to watch a soccer match, he too would have died. The team felt that God brought Germain to work with them so they could love and encourage him while giving him opportunity to use his skills to help the sick. They learned that he believed he was spared for a purpose–to help his fellow Haitians in any way he could. All he needed for himself was enough to live simply. Any funds he could gather would go for medicines to help the people of Grand Saline, a village about four hours from Port au Prince. During the week, Germain works for a mission hospital for a very small stipend. Twice a month, he travels to Grand Saline to do medical work among the people there. With very little in the way of meds, he does what he can for this village of about 1000 people. The Canadian team members have maintained contact with Germain, and interested persons contributed funds so he could leave the tent in which he had lived for two years and move into one of four apartments in a house. Canada’s Global Outreach Leadership Team feels that support for medicines for Germain to use is a call of God. Future medical trips by Canadian teams will be assured of having a Haitian doctor. When non-medical ministries are undertaken by Canadian teams, they will take items to assist Germain with his medical work–baby formula, water purification kits, vitamins, etc. Having the money to purchase specific items in Haiti is the best way we can help, though. Anyone wishing to contribute funds for this kind of ministry support (strictly medical supplies) is invited to do so. We will send $200 a month as long as monies are available. Any funding gathered in the United States will be sent to the Canadian treasurer. The Global Ministries Leadership Team has three new members. John Hetrick. John is a member of King Street UB church in Chambersburg, Pa., where he became of follower of Christ seven years ago. John serves as a member of King Street’s missions team and recently traveled with me as part of our vision team to Chiang Rai, Thailand. John works for a division of IBM as a project director, consulting with corporate customers on the software needs and directing a team of programmers and developers. He brings with him the ability to think strategically and a fresh perspective of a layperson. He begins a four-year term this fall. Chuck Malson. Chuck has been senior pastor of Brown Corners UB church (Clare, Mich.) since 1981. He has participated in numerous short-term missions trips, especially to Nicaragua. He has been involved in pastoral training and has led missions teams. Brown Corners Church has a definite missional focus both at home and abroad. Chuck brings the perspective of a large church interested in partnerships and an inquisitive mind always seeking to understand our rationale. He begins a four-year term this fall. Al S, and the organization he represents, has been working with Global Ministries for the past three years in developing our micro-business strategies and curriculum. Al and his family served in South Asia for 14 years before returning to the United States to train and develop indigenous church planters among the most unreached areas of the world. We won’t give his full name, because he is involved in ministry to Islamic and other limited-access countries. Global Ministries began appointing non-UBs to the team back in 1985, as a way to gain broader knowledge and expertise. However, in recent years all of the members have been UBs. The current Global Ministries team intentionally created this slot on the team for a non-UB, and designated it as a one-year appointment. Ruth Ann Price, who has served on the team since 2001. She is a career missionary with Wycliffe and Missionary in Residence at Huntington University. Wil Kline, a member of the team since the spring of 2009. Nathan Hann and Paul Hirschy officially join the staff of College Park church on June 1. 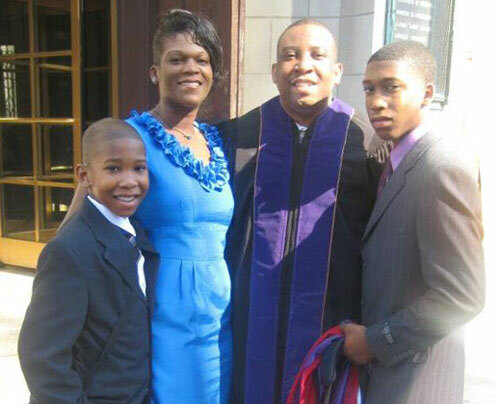 We are excited about the ministry they will provide to our congregation and community. Nathan Hann will become our fulltime worship pastor. Nathan graduated from Huntington University on May 12 with a degree in Worship Leadership. He and his wife, Alyssa, have been active at College Park Church, and Nathan has served in various roles of music leadership since 2010. In addition to overseeing the worship ministry of College Park, Nathan has taken over our technology and communication needs. He has helped us begin social networking at College Park, and is working with others on a newly revised website. In addition, he will help us in our interaction with college students. Nathan has been working with Pastor Mark Vincenti and the youth praise team, and is interested in encouraging musical opportunities for our children. Paul Hirschy will join the staff as a half-time associate pastor. Paul is retiring from his role in the Advancement office at Huntington University, and is looking forward to returning to local church ministry. For those of you not acquainted with Paul, he served nine years as pastor of Park UB church in Bluffton, Ind., then worked at the United Brethren national office in the printshop (1978-1981), as Director of Church Services (1981-2001), and as bishop (2001-2005). He has worked for Huntington University since 2005. Paul will work with such things as helping newcomers find a home at College Park, helping people find appropriate opportunities to serve God in the church and outside the church, developing the church’s prayer ministry, and helping with church administration. Mark Wilson (right), senior pastor, Fowlerville UB Church (Fowlerville, Mich.). 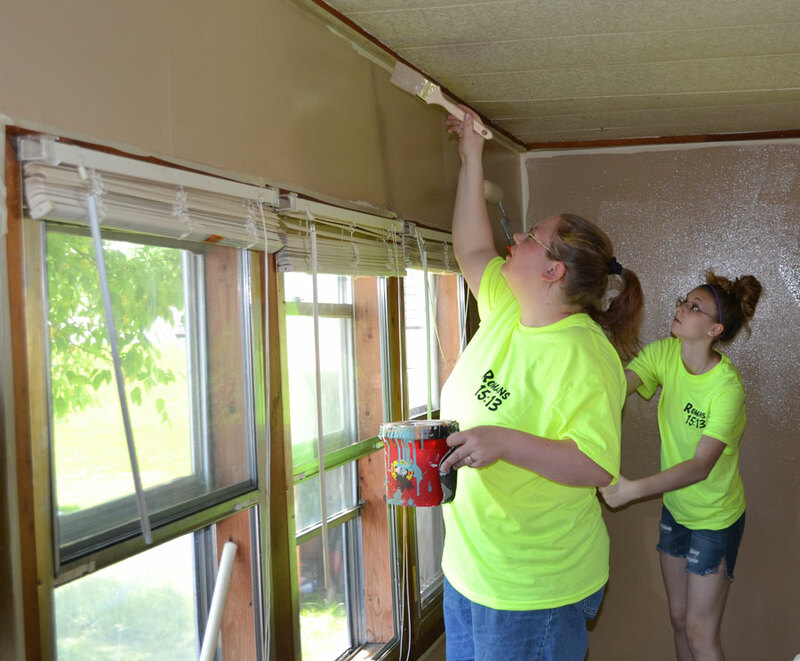 Last year, we sent over 250 people into our community to serve in practical and tangible ways. 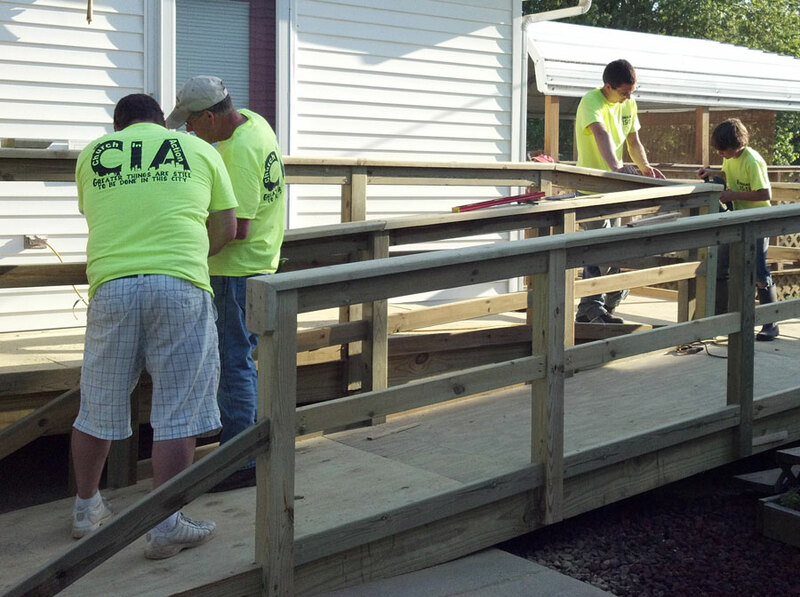 This year, we invited 6 other local churches to join us in these efforts. As a result, we sent out over 550 individuals to serve our community. Our theme for this year was “The Church In Action.” We gave each volunteer a bright, florescent T-shirt with our logo “CIA” on the back. Imagine all those florescent shirts making their way into our community–it was a sight to see! Our church rose to the challenge and raised almost $15,000 to fund the projects that we completed during the day. We wanted to bless the recipients with the extravagant love of God. 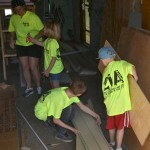 All of our projects were done at no cost to the recipient, unless they already had the supplies. Minor and major home repair projects. 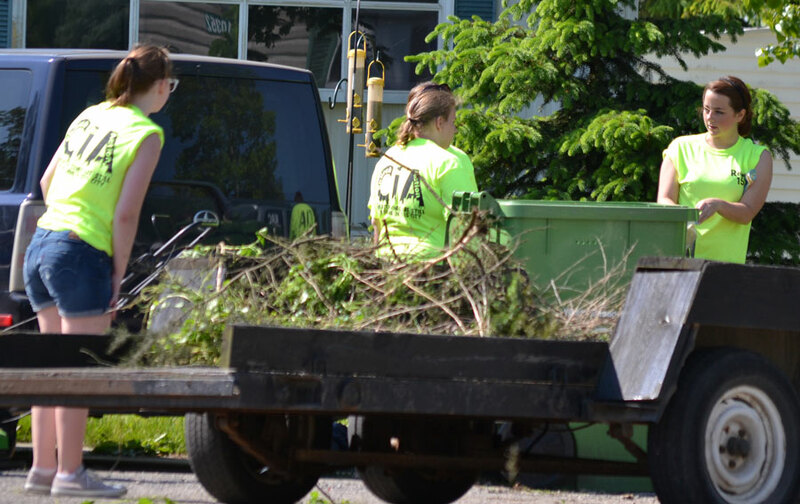 We also cleaned up our community parks and downtown areas, and washed all of the windows in our business areas. 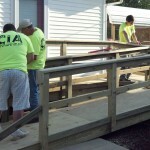 We were able to serve over 45 different individual residents along with several other larger projects in our community. I was not only blessed by the other churches that partnered with us, but by the 370+ from our church who went out and served as well. It was nothing short of an amazing day. The following day, Sunday, we celebrated what God had done during our serving day and then we had the privilege of baptizing 7 people. Dr. Dalton Jenkins with his new diploma. Dalton Jenkins with his wife, Jacqueline, and two sons. Dalton and his wife, Jacqueline. 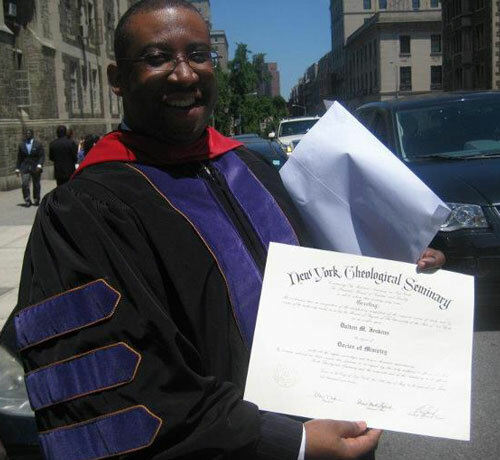 Congratulations to Dalton Jenkins, pastor of Bethel Temple of Praise in Yonkers, New York. 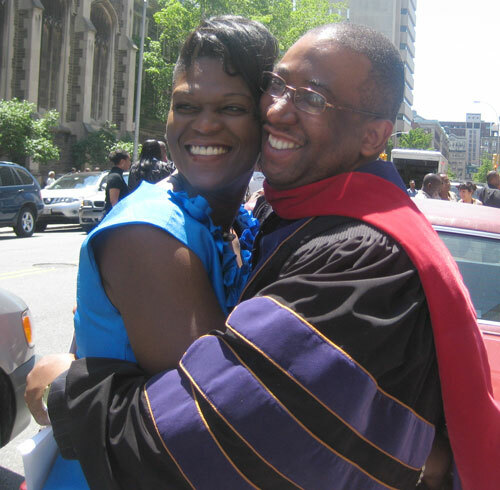 On May 19, 2012, he was awarded the Doctor of Ministry (DMin) from New York Theological Seminary. To raise awareness by helping to clarify the nature of the structures and practices of the church relating to its missional focus. To develop a better awareness of local missions. To develop a process to help persons live out the mission by engaging their communities. The Associates Summit concluded Thursday morning, May 24, in Buffalo, NY. Over 100 photos were posted on the United Brethren Facebook page. Check them out. If you haven’t done so already, please “Like” the UB Facebook page. We’re nearing the 650 “likes” point, and would like to begin climbing toward 700. Crystal Carpenter, a member of the Army National Guard for about seven years, will be deployed to Qatar in June 2012 for 9-11 months. 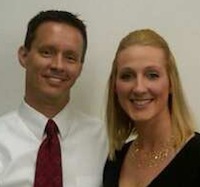 Crystal is the wife of Randy Carpenter, senior pastor of Sunfield UB church in Sunfield, Mich. This is Crystal’s first deployment with the National Guard. She is an Admin. Sargent with the 323 Military Police Unit in Toledo, Ohio.